Founded in 1982, Steiner established in Riedin Austria, has the reputation to produce and develop quality and innovative solutions related to civil service equipment. One of its main product lines is truck bodies. 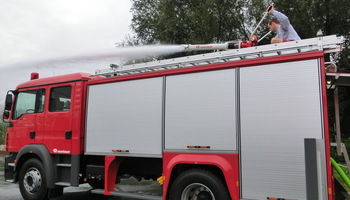 Together with a fire truck manufacturer, Steiner developed and produced part of the well-known truck Panther from GRP (Glass FibreReinforced Plastic). 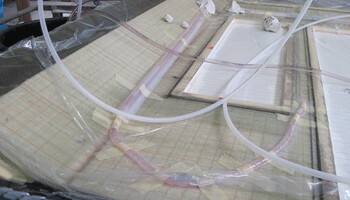 The idea of the project is to use SAERfoam® PU 15 O 10-30 G for the parts to achieve new benefits. In summary, a positive conclusion can be drawn from the project as it has been proven possible to reduce the core cost after impregnation by almost 10% after using SAERfoam®. Les éléments de construction légers permettent d'économiser des combustibles fossiles et donc d'avoir une plus grande autonomie, mais ils ont aussi des effets positifs concernant les coûts et l'environnement.